The Heartline Bear is an ancient American Indian spirit fetish. The bear is respected for its power and strength and also for healing abilities. It is often referred to as a token of good luck and for the Navajos symbolizes the entity of the "Protector". The heartline running through the center of the bear signifies the spiritual breath of the animal. 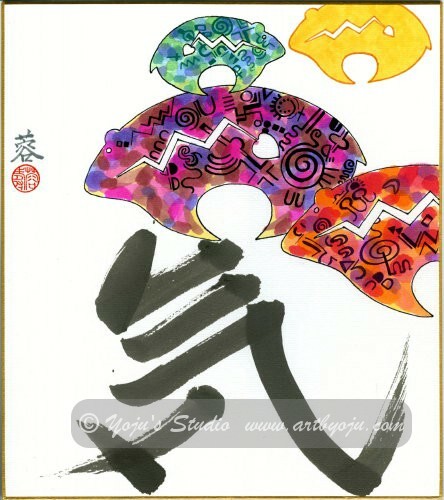 Here the heartline bear is combined with the Japanese calligraphic character "Ki" which represents "spirit" or "energy"
© Copyright 1996-2016 Yoju's Studio. All rights reserved worldwide.